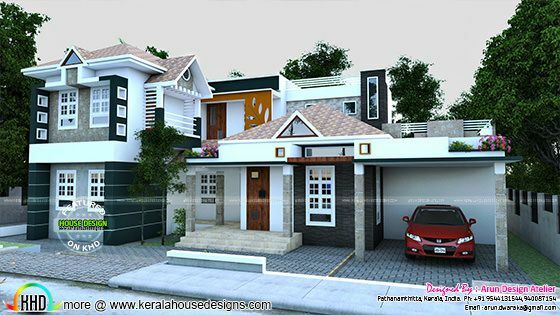 2416 Square Feet (224 Square Meter) (268 Square Yards) modern sloping roof house architecture plan. Design provided by Arun Design Atelier (Formerly Design Concepts), Pathanathitta, Kerala. 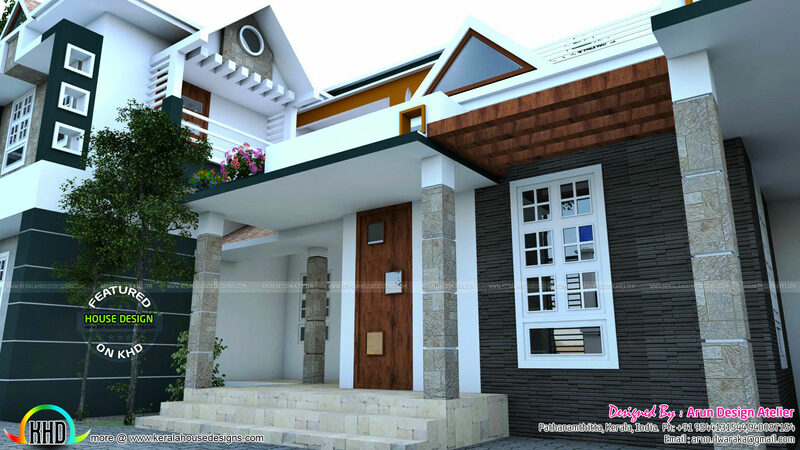 Ground floor area : 1830 sq. ft.
First floor area : 586 sq. ft.
Total area : 2416 sq. 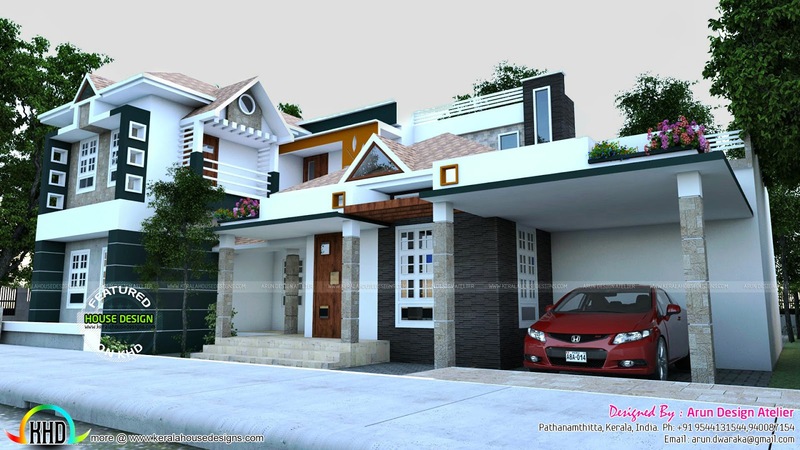 ft.
0 comments on "Beautiful Double storied modern house"